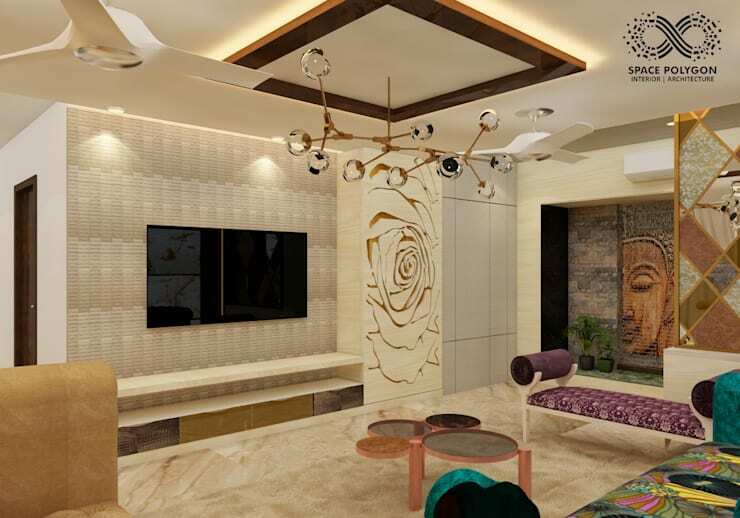 This residential apartment is located in Metrozone, Chennai is a uniquely designed home with a refreshing colour pallet and modern décor. 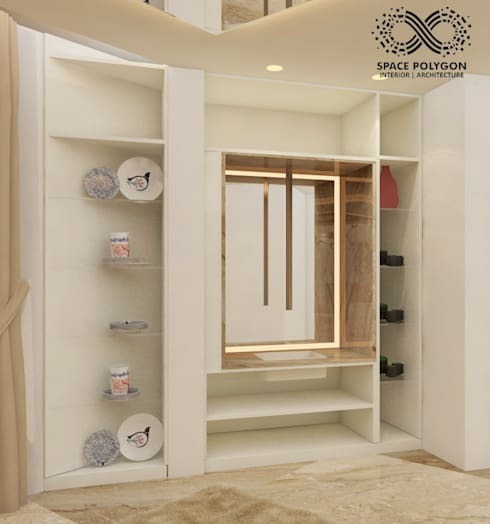 Designed by the team at Space Polygon, Interior Architects in Chennai, this home has all the trappings of a modern home. From the use of a neutral colour in the common areas to a brighter colour scheme in the bedrooms, there are unique ideas everywhere. So let’s begin. The décor in the living room is done with a lot of care. The wooden panels in the ceiling, with concealed lighting and the lamp look stylish together. There is a rose decal on the walls that add elegance to the room. The beautiful entryway is a peek into the home. 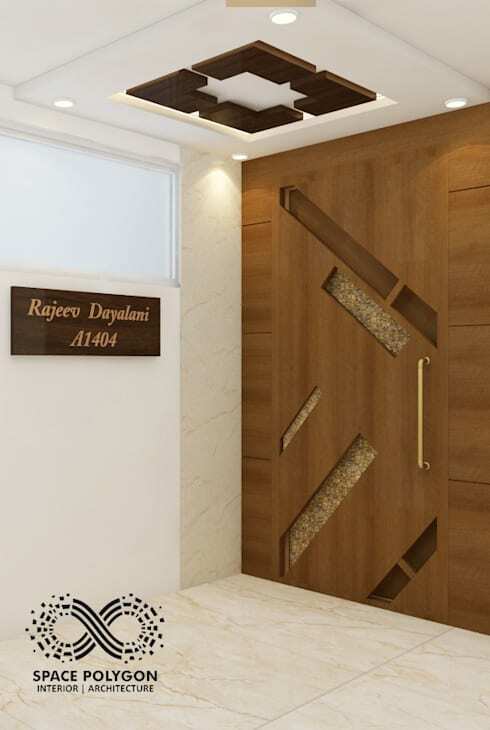 The sturdy and stylish wooden door, with geometric design, is a great way to begin the tour. 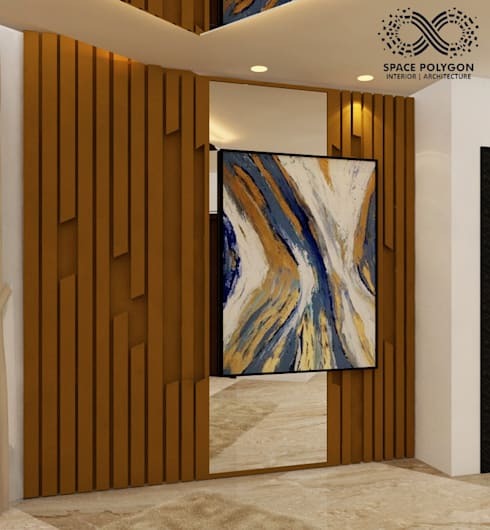 The ceiling design using wood and PoP is very unique. The overall design of the living room is gorgeous. 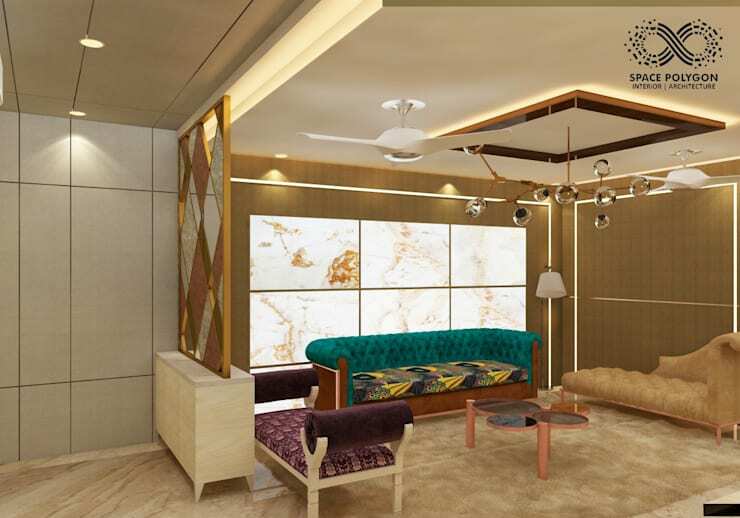 There is a colourful teal couch with stylish upholstery, accompanied by a suede armchair. A separator made of wood and glass is placed between the entryway and the hall. The neutral colour scheme allows the furniture pieces to stand out. This wonderful piece of artwork on the wall is quite stunning to look at. Anyone entering this room will first look at this bright, whimsical art piece. The remaining wall is covered with wooden furnishings, which allows the art to shine through. Another great design idea in this house is right here. The wooden panelling is quite stylish and adds character to the room. There is another beautiful painting hanging here, which is a tribute to modern art. Overall, the space is quite impressive. This lovely corner in the house is a homage to minimalism. The all-white décor accentuates the use of marble to line the shelf in the middle. The side shelves all display exquisite décor pieces. 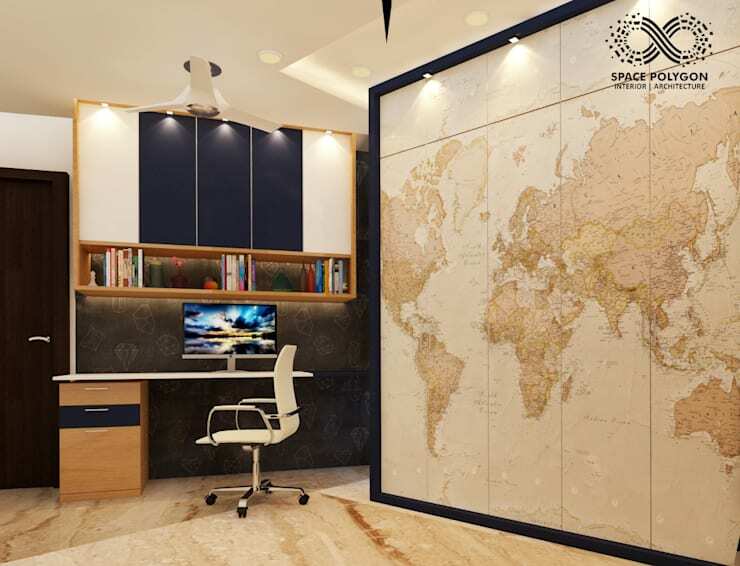 The home office is classy and stylish, with a world map on one side, and a stylish table on the other side. There is sufficient place for storing books, papers and other accessories. 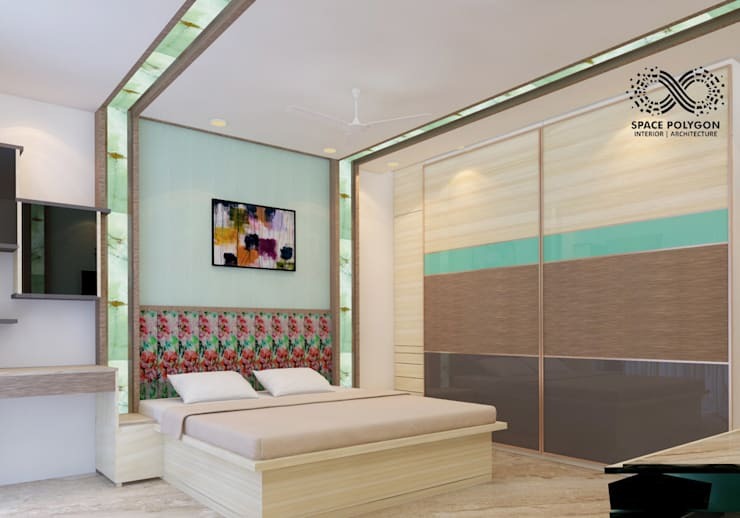 This bedroom is very unique, because it has a pista, brown and cream colour scheme. This new combination is refreshing and the panels running from the walls to the ceiling is beautiful. 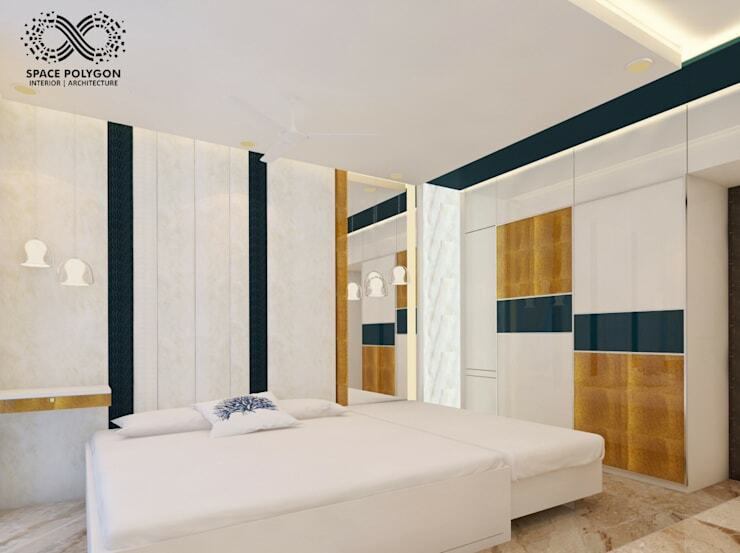 This classy bedroom design is mostly white, with accents of navy blue and brown in the wardrobe and walls. The marble flooring really shines through here. This room us decorated with bright colours in order to create something unique. The bed is designed to fit into this space, surrounded by colourful panels and shelves. 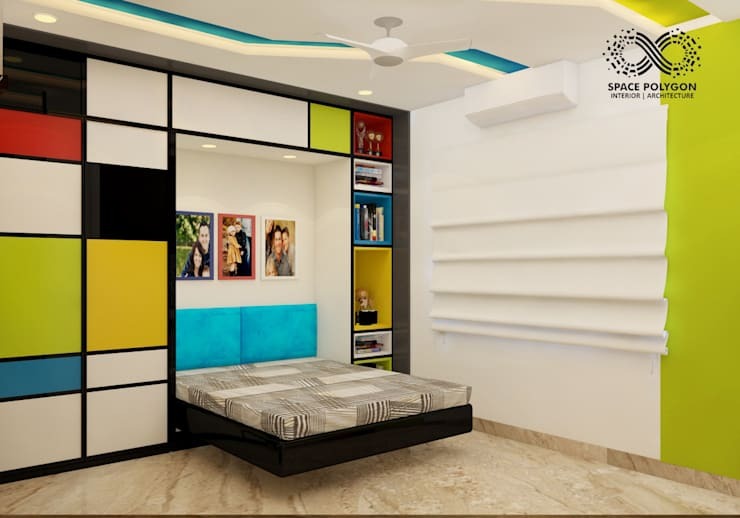 The room is decorated with family pictures as well and is the perfect space for a teenager. 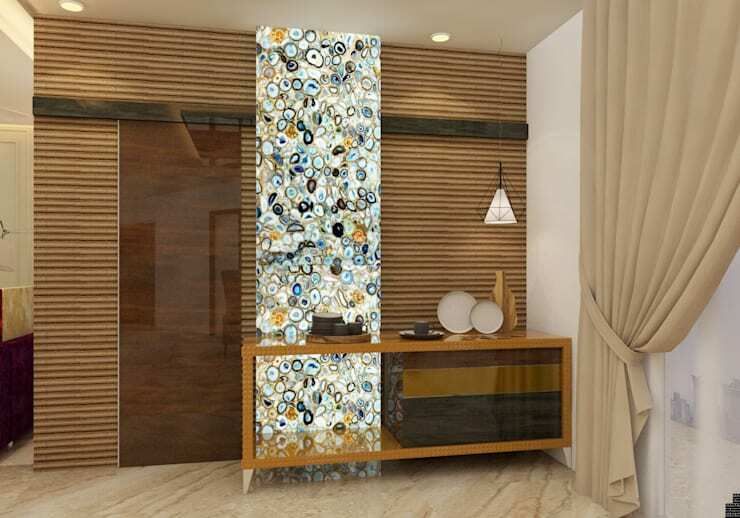 This room was designed with the butterfly theme in mind. 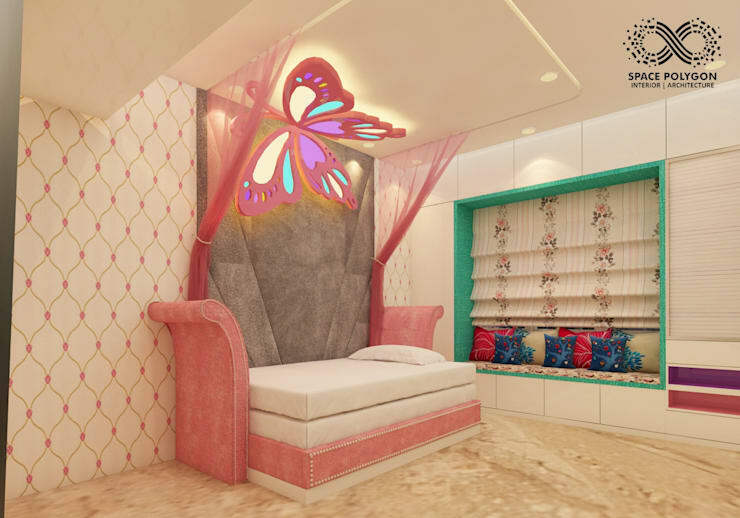 The stunning bed is fit for a princess and the butterfly light on top just adds to the beauty. The wallpaper also matches the overall theme and the plush flooring is perfect for small children to play on.